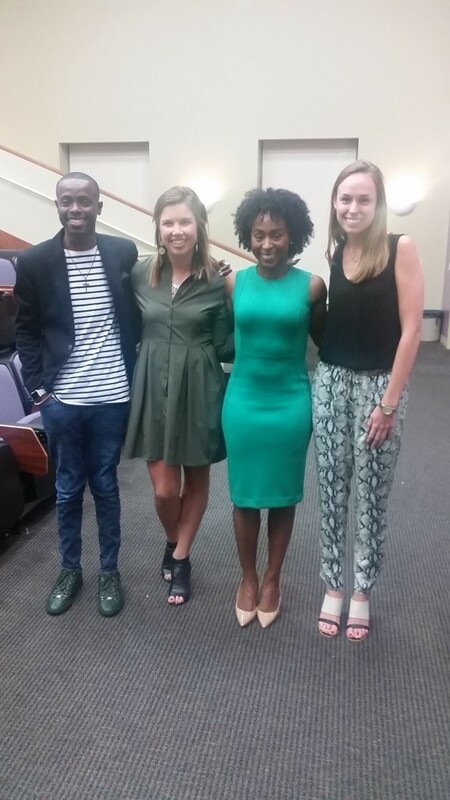 PUSH, held in the UCA College of Business Auditorium, was the second event in the series that strives to aid millennials in succeeding in the work force. 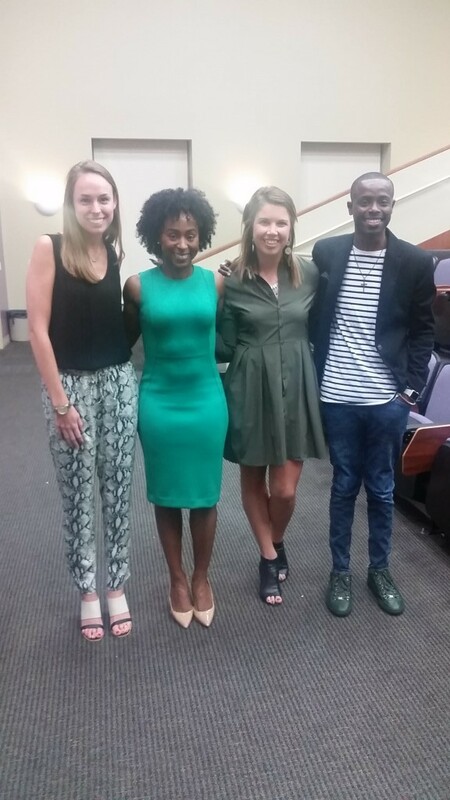 Public relations, communication, journalism and students in related fields and practitioners were invited to spend the evening listening to three professionals speak about interpersonal communication, continued education and job searching. “It is my hope that The PUSH will catapult others’ dreams into realities,” said Banks, a radio personality for KTZS Streetz 101.1 in Little Rock, Arkansas. The panelists were Mary Hargraves, public relations specialist of Ghidotti Communications in Little Rock, Taylor Stokes, project manager at Eric Rob & Isaac in Little Rock, and Gerald Thomas, owner and senior account director of The GDT PR Agency in Little Rock. The panelists stressed how important networking is when it comes to career building. Thomas said practitioners in public relations need to possess interpersonal skills that encourage communication. Hargraves stressed how important it is to gain experience through internships. Internships expose and allow students to practice roles and responsibilities that professionals must fulfill. She said that even after receiving a degree, graduates should look to gain experience wherever they can. Along with gaining experience, Hargraves said students should save valuable work they produce in class for their portfolio. “Portfolios are really important because it shows what you’ve accomplished in college and what you can do,” Hargraves said. Stokes, a UCA alumna, said she wish she had known as an undergraduate that being busy as a college student versus a professional is different. “The biggest adjustment you have to make is with your time management,” Stokes said. “You may be working from 8 to 5 and all of your busyness of life has to either happen before or after that, or at lunch or during the day, because you have a job and people rely and clients rely on you for you to get stuff done,” she said. The PUSH was held Thursday, Oct. 20, 2016. The UCA chapter of the Public Relations Student Society of America provides students with the opportunity to learn more about public relations, to apply that knowledge in practical situations, and to support one another in a professional and social environment. The club’s activities include providing public relations work for various organizations, sponsoring speakers, supporting students in the major, and creating community connections that enhance employment opportunities. Directed by Honors College faculty Adam Frank and with a live orchestra ensemble led by Israel Getzov, “The Halloween Tree” uses shadow puppetry and three-dimensional puppets to tell the story of three children trying to save their friend on Halloween night. As the children chase Pip through time to ancient Egypt, Stonehenge, Notre Dame, and Mexico, they learn about the ways we understand the borderland between life and death throughout history. The performance includes original compositions by Paul Dickinson (UCA), Karen Griebling (Hendrix College), Michael Pagan, and Cory Winters. 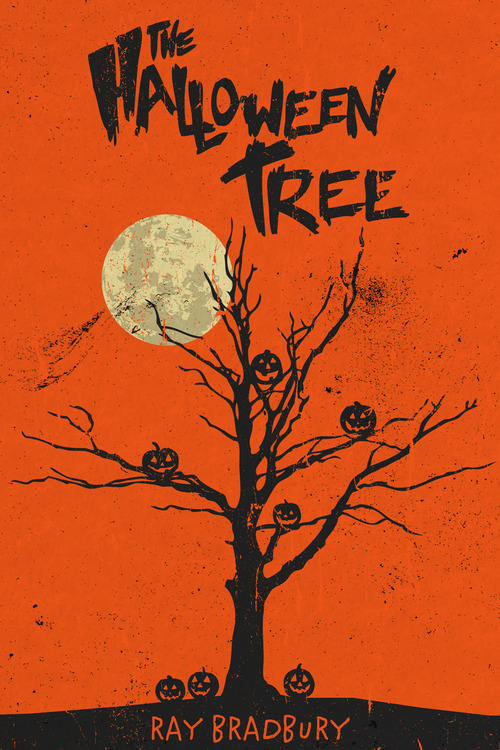 “The Halloween Tree” is suitable for children 8 and up and will appeal to both adult and young audiences. Performances will run Friday, October 7th and Saturday, October 8th in Conway and Thursday, October 27th in Little Rock. 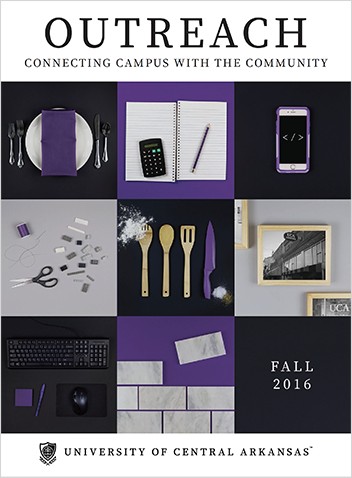 The Conway performances begin at 8:00 pm at UCA’s newly renovated McCastlain Hall Ballroom, located just west of the university’s main entrance on Donaghey Avenue. Ticket prices are $10 for students and $15 for the general public and are available for advance purchase through Reynolds Performance Hall box office, (501) 450-3265 (in Conway area), toll free 1(866)810-0012, or online. Tickets will also be available for purchase at the door. Seating is general admission and limited, so advance purchase is strongly recommended. A pay-what-you-can performance will be held on Thursday, October 27, 7:30 pm at the Central Arkansas Library System’s Ron Robinson Theatre, 100 River Market Avenue. A $10 donation is suggested. Proceeds from the October 27 performance will go to El Zócalo to support developing educational, entrepreneurial and support services for immigrants. To celebrate the beginning of holiday season, a crafts marketplace will precede the October 27th performance starting at 6:30 pm. The marketplace will feature handmade crafts and clothing items created by independent, Central Arkansas immigrant artisans. Supported by grants from the UCA Foundation, the Arkansas Arts Council, and the Mid-America Arts Alliance, as well as support from the UCA College of Fine Arts and Communication and the Schedler Honors College, “The Halloween Tree” project will also include a series of puppetry workshops. Led by Puppeteers of America president Jan Wolfe and Jim Henson Fellowship winner Katie Campbell, college students at University of Arkansas at Little Rock and at University of Central Arkansas will be trained to share puppetry and storytelling skills with underserved communities in Central Arkansas. For more information on the puppetry workshops, contact El Zócalo Executive Director Kelsey Lam at LRImmigrantCenter@gmail.com. For further information about “The Halloween Tree” and to arrange press interviews, please contact Producing Director Adam Frank at afrank@uca.edu, (501) 908-9990, or CSO General Manager Vicki Crockett at symphony@conwaycorp.net or (501) 269-1066. THE HALLOWEEN TREE ©1972 by Ray Bradbury. Performed with Permission of Don Congdon Associates, Inc. 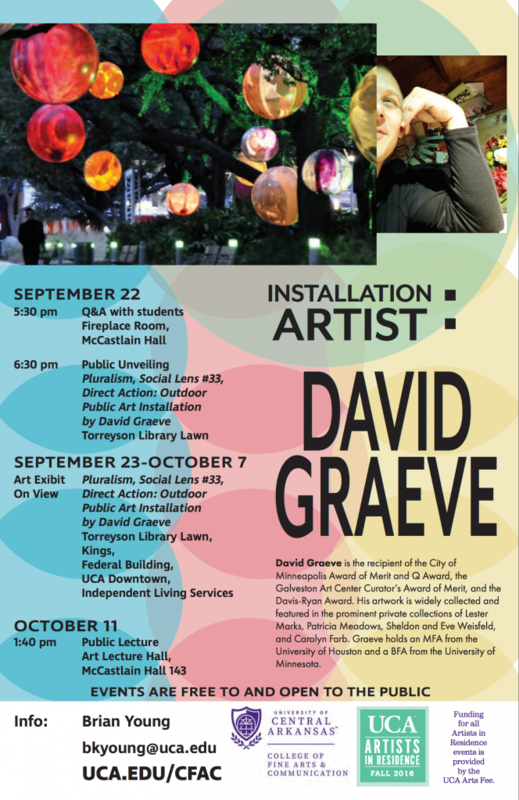 The Baum Gallery and Torreyson Library held the opening reception for this year’s Artist in Residence exhibit, Pluralism, Social Lens #33, Direct Action: Outdoor Public Art Installation by David Graeve. 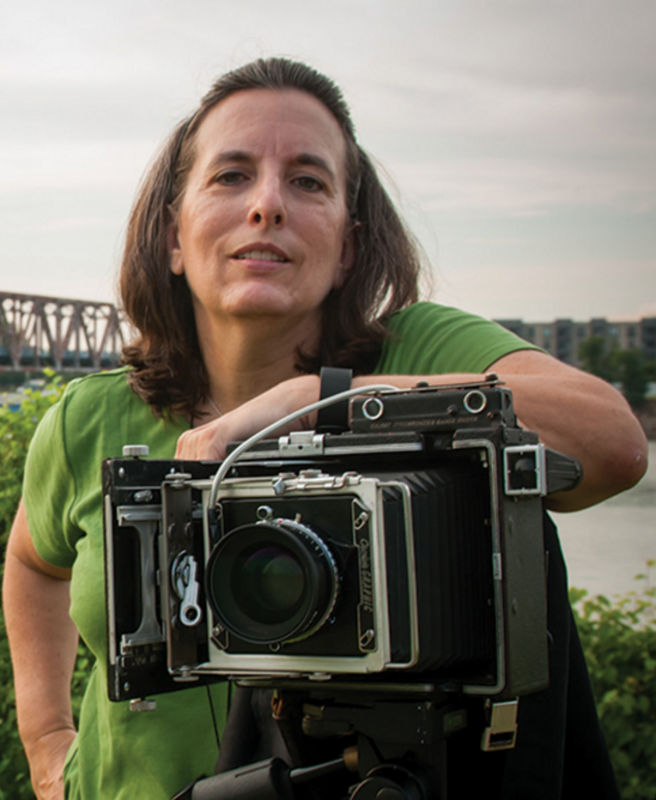 The reception was held on the front lawn of Torreyson Library Thursday, September 22, at 6:30 p.m.
Art professor Donna was selected for first place and exhibited work in the 2016 Soho Photo Gallery in the TriBeCa district of Manhattan from July 6, 2016 to July 23, 2016. 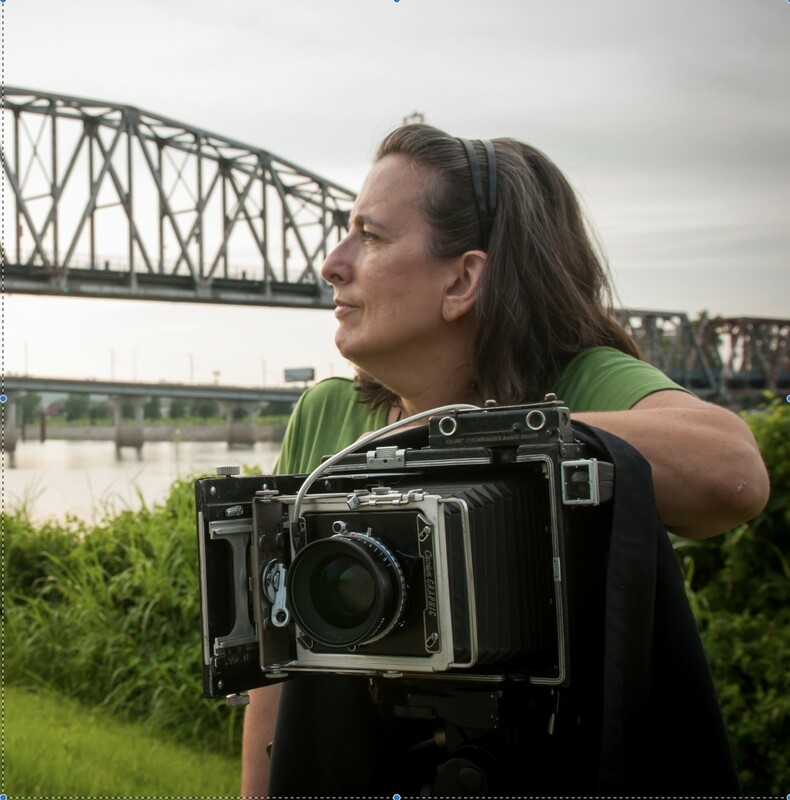 Three photos, part of her Sticks and Stones series, were among the 40 works selected for display at the 2016 Soho Photo Gallery National Competition and exhibition. Elisabeth Biondi juried the exhibit, selecting 40 works from over 1,500 submitted by 196 artists. Biondi is a curator and critic who served as the photo editor for The New Yorker for fifteen years.